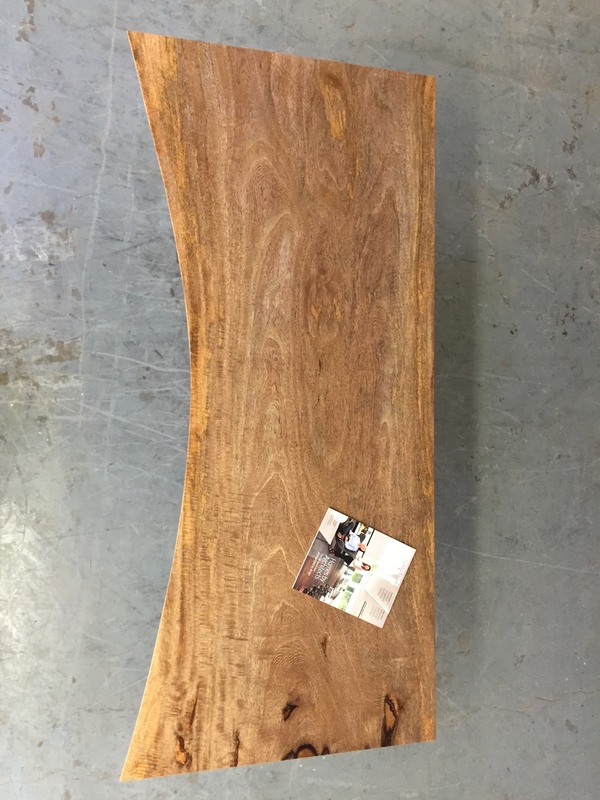 This is a salvaged mango wood slab desk that we cut three straight edges and left one raw edge with a nice curve on the side of the desk you would sit at. There is a really nice pencil drawer and the thick lucite legs with polished edges make the whole piece look like its floating. Like all of our pieces, this was custom built for a client and we can make one for you in a variety of woods, sizes and stains or you can just say "ditto" and we will make you the same thing.